Apple gained nearly 2% yesterday as the stock reached a milestone $200 billion market capitalisation at a stock price of $223.02 (19.3x FY10 EPS and 17.4x EV / TTMFCF). Potential upcoming catalysts include the iPad hitting stores in the US in early April as well as Australia and the UK later in the month; the March quarter earnings release; the release of the next generation iPhone this summer; and progression or resolution of the HTC lawsuit. Apple is creating an oil slick by reaching out to rival handset makers, making them doubt Google (which has already suffered from wireless industry misgivings – the company isn’t trusted, but seen as a necessary evil). Microsoft’s Windows Phone 7 software is emerging as a viable partner and alternative to Android, as the company has stated it will join any intellectual property battle. This is the first time the number of books available in the App Store has exceeded the number of games. 26,985 books are currently available as apps versus games at 25,348. Of course, this is far fewer than at Amazon and Sony, which both offer more than 400,000 e-books in their stores. Though, to be sure, all Amazon Kindle apps are available to iPhone owners via the Kindle app, though Apple does not receive a revenue share on those sales. 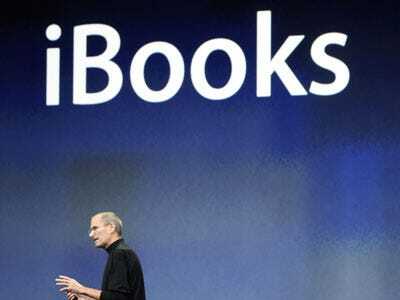 Apple is also planning to launch its own e-book offering, the iBookstore, when the iPad goes on sale in April. This will be completely different from the iPhone app-based books currently in the App Store. Online financial tool Trefis (Seeking Alpha contributor) estimates that Apple will sell about 48 million e-books in 2010. Based on comparisons with Amazon’s Kindle, which sells approximately 24 e-books per Kindle per year, Trefis recognises that the utility of the iPad will span more than just e-books. Taking that into account, the company estimates that an average iPad user will buy one e-book per month or 12 per year, half of that of the Kindle. At an average price of $8 per e-book, Apple has the opportunity to generate approximately $400 million in gross sales. While the analysis is somewhat flawed, users can modify the interactive assumptions (iPad sold, e-books sold, etc.) which is useful on a high level to gauge the impact on the stock price. Trefis has a $267 price estimate for Apple stock. What’s it like to be at the other end of Steve Jobs’ “sense of injustice” concerning the theft of Apple’s intellectual property, the way Google and HTC must be feeling today? Former Sun CEO Jonathan Schwartz knows and revealed a bit of previously hush-hush history on his blog. Steve Jobs apparently threatened to sue Sun for infringing on its IP in 2003 for a user interface design. Bill Gates and Steve Ballmer also tried to get Sun to licence Microsoft Office patents for use in OpenOffice, a move that would have made open-source distribution of the competing product impossible. In both cases, Sun counter-sued. Schwartz agrees that Apple’s suit against HTC is a stab at Google. And while HTC may be relatively small, Apple’s attack may backfire. “For a technology company, going on offence with software patents seems like an act of desperation, relying on the courts instead of the marketplace,” Schwartz said. “I wonder who will be first to claim Apple’s iPad is stepping on their IP?” Without a doubt innovation is about give and take and evolution of ideas. Knowing when inspiration is outright theft versus a compliment becomes a lot harder when you have a multi-billion dollar company’s future earnings growth to protect. Apple’s stock soared to its all-time high, pushing its market capitalisation to $202 billion, rivaling US bellwethers Berkshire Hathaway ($204) and Walmart ($206). The only US companies having greater market cap are Microsoft ($252) and Exxon Mobile ($315). Does the company warrant the accolades? Well, Wall Street analysts who cover the stock seem to think yes, as 40 of the 44 rate the stock a “buy” or comparable. And trading at 19x forward earnings isn’t out of the realm of tech parameters. If Microsoft wants to keep its crown as the reigning tech leader, the company needs to manage a miracle and produce an unprecedented run of amazing growth-driving products. That scenario is not likely, so the only question is when Apple’s market cap will surge ahead and over take the tech giant’s. Scott Moritz at The Street is warning investors to sell Apple before the backlash begins. He advises investors to be wary when a company acts a little too big for its britches, the way Apple is. He says “growth will stall. Fair-weather investors will flee to sunnier stocks. Loyal fans will become embittered. Smelling blood, critics will get even nastier. It’s inevitable. The life cycle of tech giants is brilliant and brutally short. Today’s consumer electronics leaders are tomorrow’s fossils.” It’s nice to see a bear out there! That said, we don’t necessarily think it’s the right timing as the iPhone is on fire, the Mac business is resurging and Apple has a new product cycle with the iPad. You’re likely a good 5-10 years ahead of the curve, but way to be contrarian, Scott! Five Reasons To Buy And Hold Apple Stock From A $18 Billion Money Manager: Listen Up! Apple is the top innovator in the world. What a glowing recommendation from one of the top money managers. But then again, he’s recommending something that he owns…a lot of.